Recently I purchased the GoLite Tumalo Pertex 2.5L Storm Jacket to replace another heavier rain jacket. (See review here.) I am really happy with everything about the jacket other than the foam cord locks that GoLite chose to use to cinch the hood closed. In my opinion, the foam pieces would not have held up at all if they were cinched down more than a few times, and simply would have fell apart. I understand that GoLite was trying to keep the overall weight of the jacket down, but this was a little over the line (again, this is only my opinion). So, I decided to change the foam pieces out with some light-weight line locks. 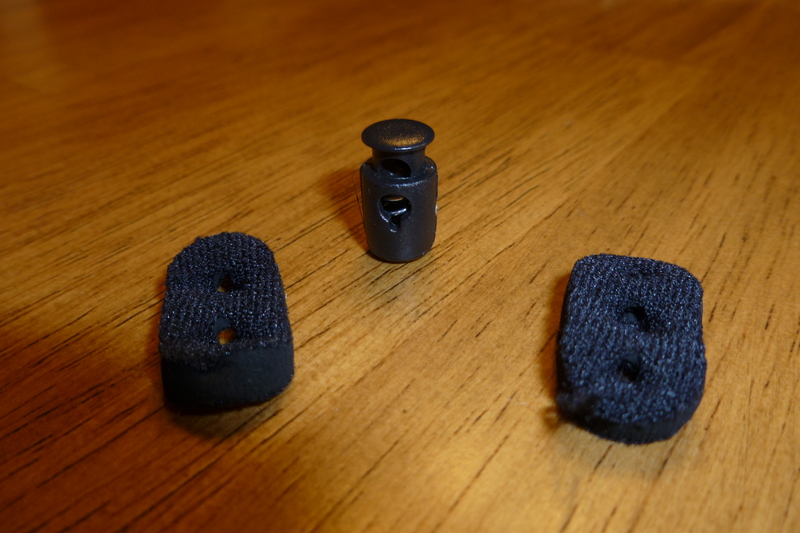 The picture below shows the foam pieces I removed and one of the line locks that I replaced them with. Swapping the foam piece was quite simple. I popped the top off of the plastic tab at the end of the cord, then untied the knot and pulled the rest of the plastic tab off. Next I pulled the cord out of the holes it was ran through so that I could pull the foam piece off. Then I simply put the line lock in place and re-threaded the cord back through the small holes and re-assembled the plastic tab at the end. Wa-lah! 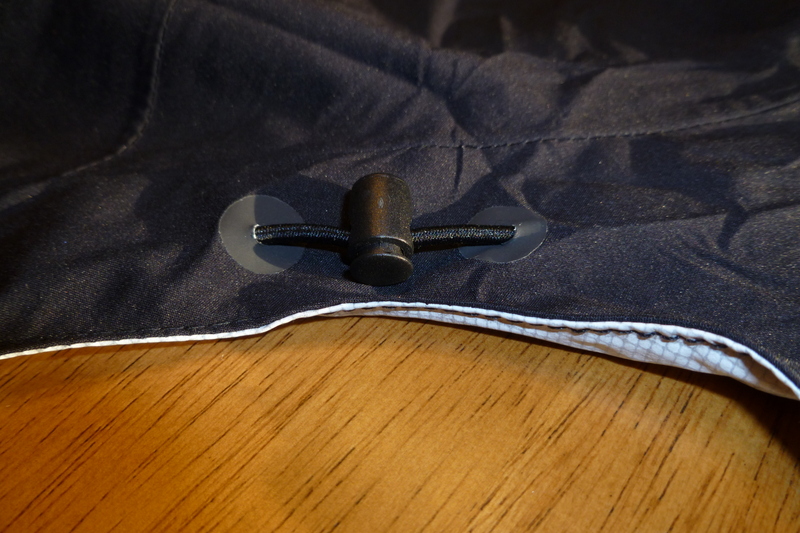 Now the hood can be cinched down much more securely than previously and I don’t have to worry about the cinch tearing up when I am in the field and I need to rely on it. And as far as weight, there is no change that I can detect. 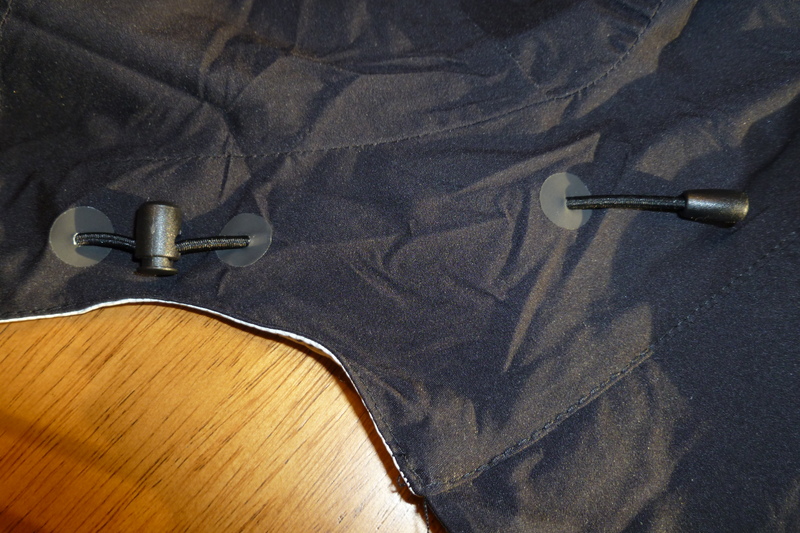 Two of the line locks do not even weigh 1 gram on my scale… Now I am much happier with my jacket! This entry was posted in Gear, Jackets, Rain Gear and tagged Gear Modification, GoLite Tumalo Jacket. Bookmark the permalink. What are the pockets like when you are carrying a backpack, are they covered by the belt? Anyway, hope that this helps.